Memorial Services for Ruth Elaine (Ahrens) Klingler will be held at 11:30AM Wednesday, March 20, 2019 at The First United Methodist Church in Kenton with Rev. Dr. Timothy Ahrens and Rev. Johnathan Hanover officiating. Friends may visit 2 hours prior to the service on Wednesday at the church. She donated her body to The Ohio State University Department of Anatomy to assist in training medical students in honor of all the medical people who assisted her. 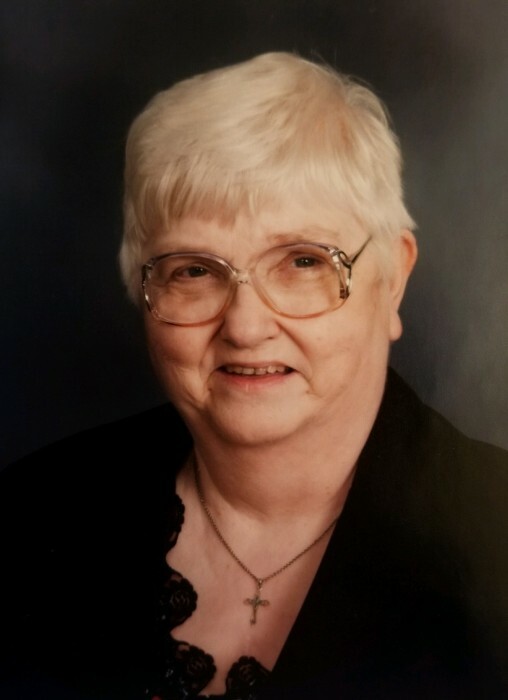 She died on March 16, 2019 at The Blanchard Place in Kenton. She was born on February 15, 1937 in the parsonage of the Salem Reformed (Rooster) Church in Marion, OH to the late Rev. Herman and Ella Emma (Fark) Ahrens. On May 27, 1962 she married Edison Klingler (who survives in Kenton) at St. Paul's UCC Church near Chattanooga, OH. They would have been married 57 years in May. Also surviving are 3 sons; Keith (Stephanie) of Hilliard, Kevin (GimYe) of Lewis Center and Kyle (Carol) of Columbus. 1 daughter; Sunny (Darren) of Bogato, NJ. 2 Sister-in-laws; Lorene Ahrens of Lansdale, PA and Ruth McPheron of Findlay. Plus many nieces and nephews. She was preceded in death by her 3 brothers; Herman Jr. Earl and Ralph. Ruth graduated from Francis W. Weitz high school in Evansville, IN and Evansville College. She was a wife and parent. She taught 3rd grand three years in Celina West school and was a teacher's aide and an Elementary Librarian in Kenton schools at Espy, Eastcrest and Westview. She loved teaching children to appreciate reading books. She was a Sunday-School teacher, Jr. Church leader and served as director of the Melody Makers Choir at First United Methodist Church. She sang in the Chancel Choir and played in the Bell Choir. Because of her love of music, she was a charter member of the Society Singers and sang with them for 40 years. She was a member of the Mother of Twins, a past president of the Hardin County Homemakers, the Newcomers Club, and the Elizabeth Circle of the UMW. She loved to support youth and their organizations and supported many of the food pantries in the county. She collected and shared Children's books (Many of them) and animal back packs she used as purses usually hanging on the back of her wheel chair. In 2003 she began to use her talent of writing poetry and developed nearly 200 prayer poems that were sent weekly to family church members, friends and anyone suffering from health issues. Over 30,000 letters have been sent to almost 1000 different people in 25 states and Canada, Her theme is: God Loves You. He always has, always will, and now just as you are." Memorials can be made to Kenton First United Methodist Church or The Hardin County Society Singers Bob Szymanski Scholarship Fund for the performing arts at 402 E. Franklin St. Kenton.